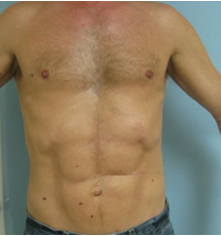 Abdominal etching or six pack liposuction (liposculpture) is an effective procedure to define abdominal muscles or sculpt a six pack contour in the abdominal area. Many men and women devote a large portion of their exercises to building abdominal muscles (also referred to as a six pack). 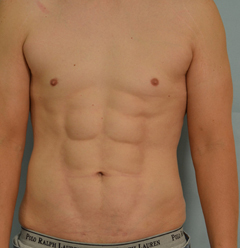 However, even with exercise, not everybody can achieve that athletic six pack definition. Some people find it difficult to increase the thickness of the abdominal muscles even with strenuous abdominal exercises. 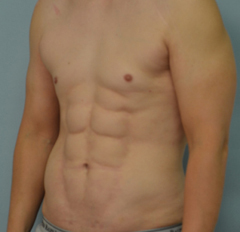 In others, abdominal muscles may be covered with a fatty skin layer which hides the definition of the muscles. 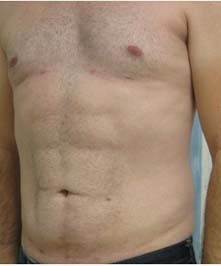 Abdominal etching (six pack liposculpture) works for both groups including people who do not exercise abdominal muscles. 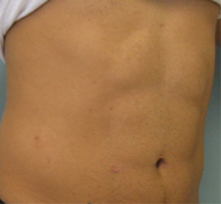 Abdominal etching can be combined with liposuction of other areas such as flanks and lower back. This procedure is performed through small 3mm incisions. Sedation (twilight sleep) or general anesthesia is typically used for patients’ comfort. 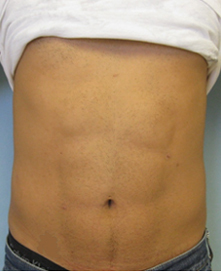 Patients typically go home the same day following abdominal etching. Most patients return to work in 2-5 days after the procedure. 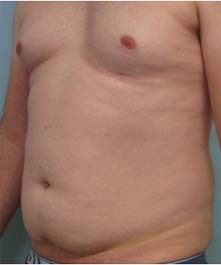 An abdominal binder is worn for 2-3 weeks. 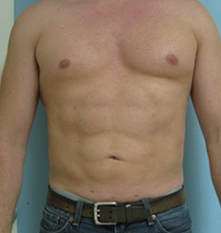 Each week following abdominal etching, the six pack definition of the abdomen will become more and more obvious until final results are achieved 2-3 months later. 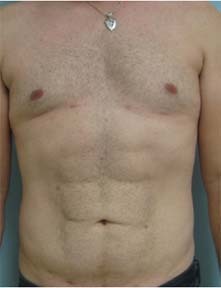 Patient 1:This patient underwent abdominal etching procedure to produce an athletic appearing six pack contour of the abdominal area. 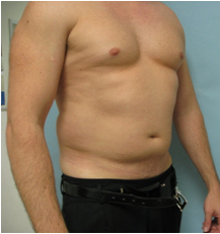 Same patient later underwent etching of the arms to create athletic appearance of the deltoid, triceps, and biceps muscles. 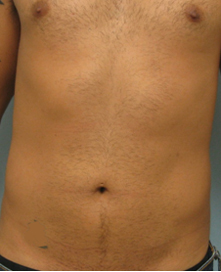 Patient 2: Abdominal etching was performed and well as liposuction of the flanks.